Village Sign in Great Totham. 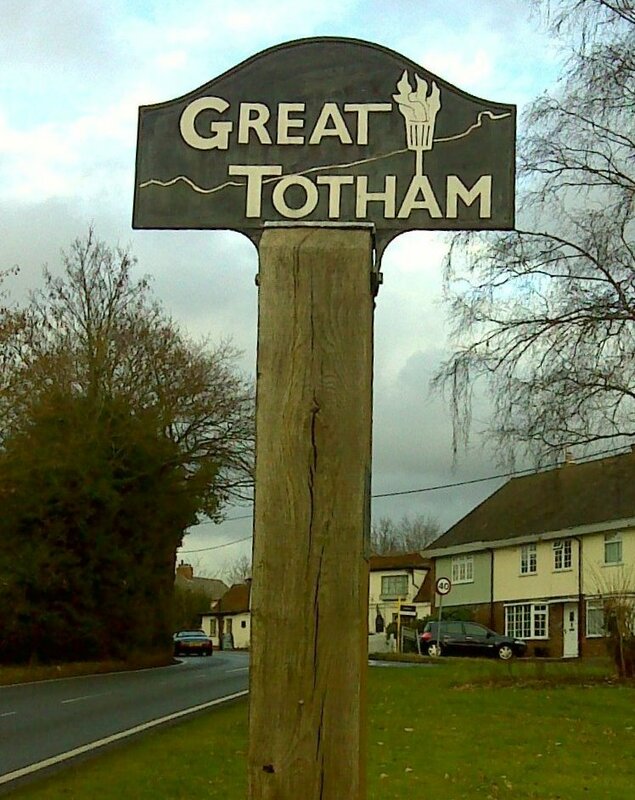 According to the old maps, before the time of the enclosures, the outskirts of Great Totham North were part of Tiptree Heath, which was then well known as a haunt of smugglers, this being celebrated in the name of a house in Mountains Road called Spirits Hall. The 'mountain' in question is Beacon Hill which at 83 metres is one of the highest points in the county and probably the original place of settlement, giving the name Totham. This possibly derived from the Saxon, meaning look out or hill top dwelling.